I like marijuana because it keeps me from killing people. And I think there are a lot of people out there who are just like me. 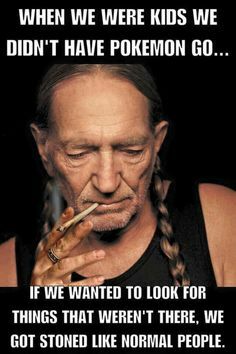 The reason it’s not legal is because most people get up in the morning and get high, then forget to go out and vote for it.